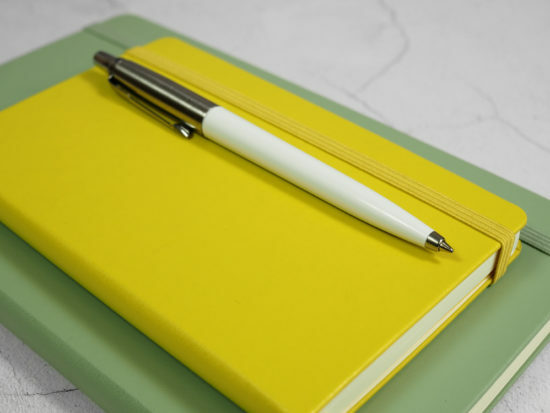 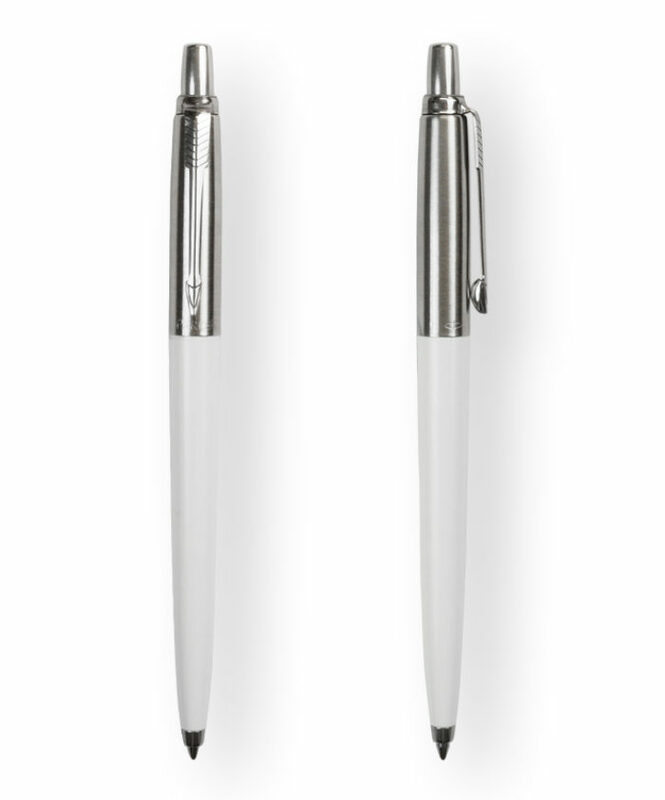 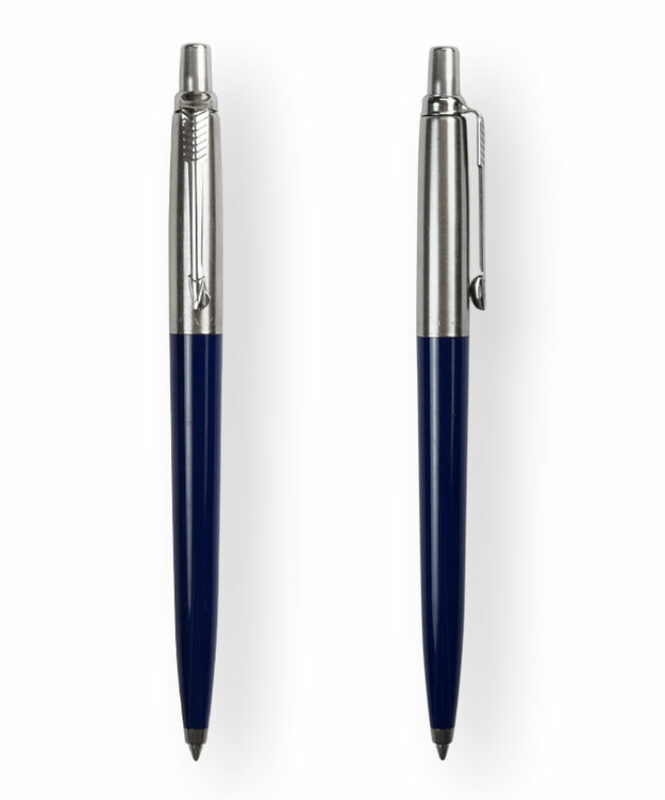 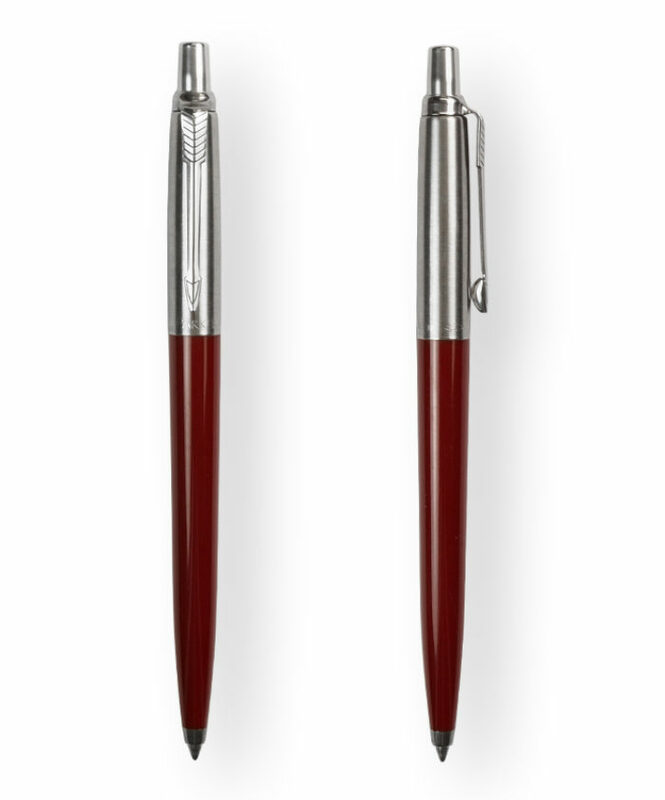 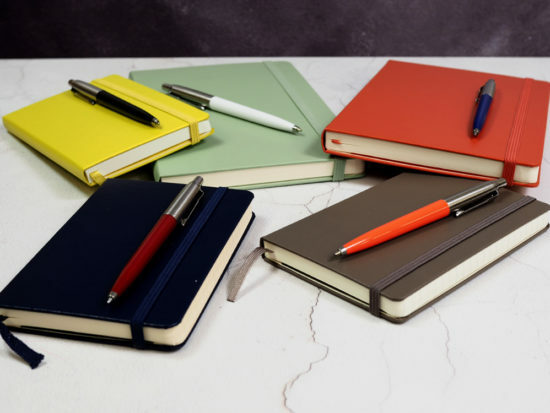 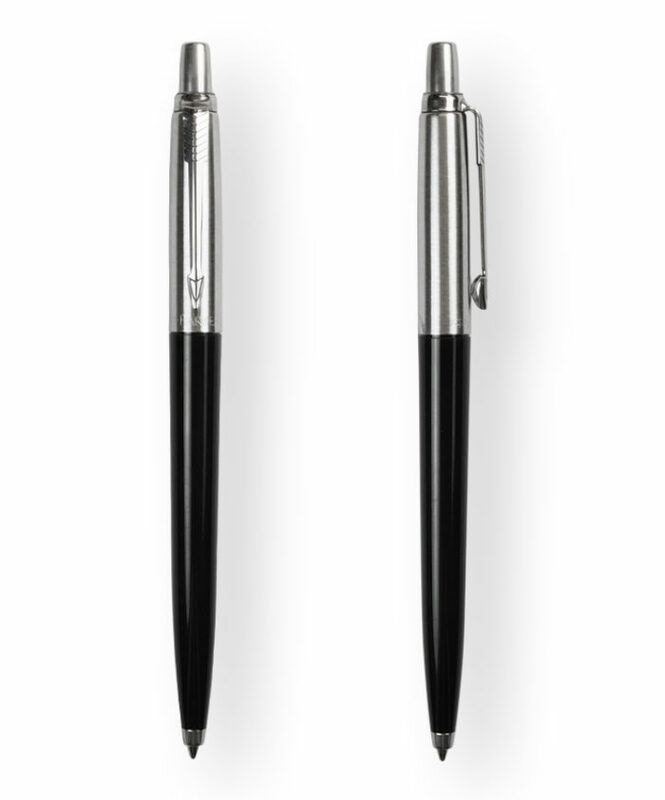 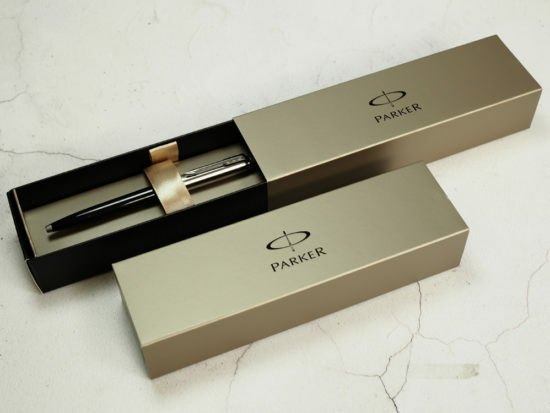 Parker jotter ballpoint pens are one of Parker’s best selling pens and it’s easy to see why! 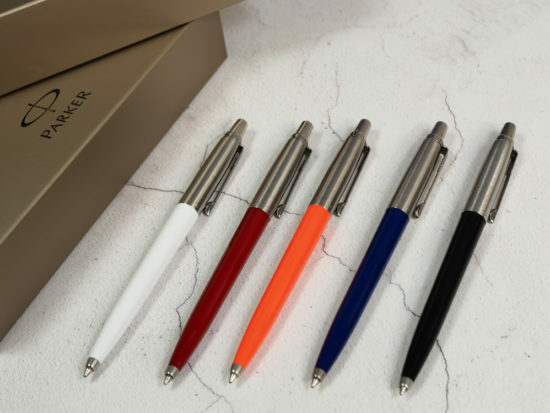 Professional looking, reliable and durable, these pens come in a choice of barrel colours, each with a stainless steel clip and trim. 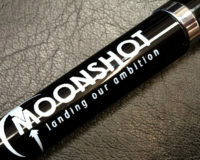 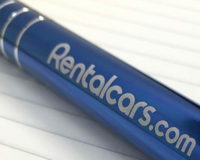 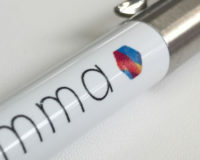 The pens can have your logo or strap line printed on the barrel or clip, or alternatively you can laser engrave onto the clip. 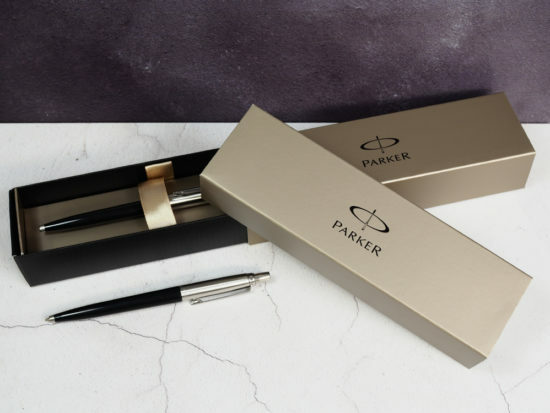 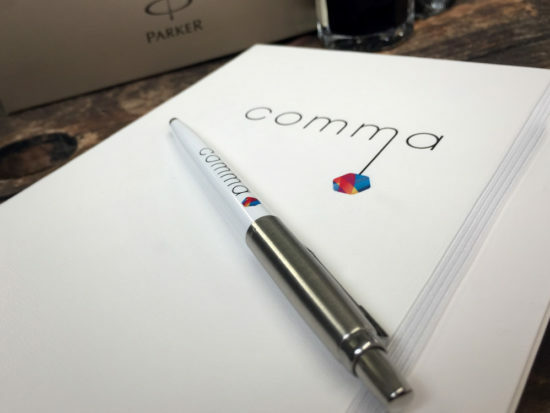 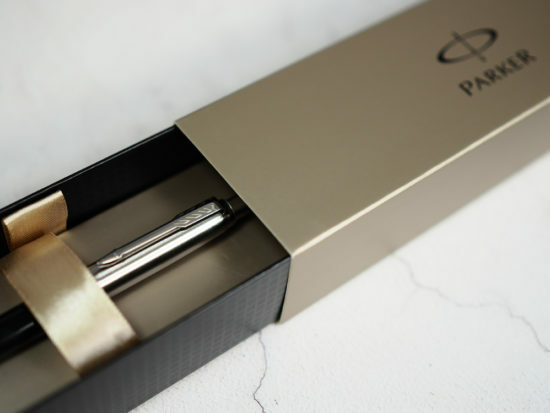 Each pen comes in a smart Parker presentation box, which can also be personalised with a single colour foil print, making them a perfect corporate gift.